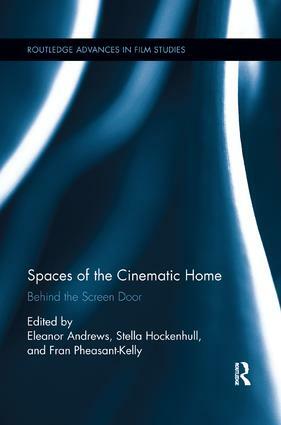 This book examines the ways in which the house appears in films and the modes by which it moves beyond being merely a backdrop for action. Specifically, it explores the ways that domestic spaces carry inherent connotations that filmmakers exploit to enhance meanings and pleasures within film. Rather than simply examining the representation of the house as national symbol, auteur trait, or in terms of genre, contributors study various rooms in the domestic sphere from an assortment of time periods and from a diversity of national cinemas—from interior spaces in ancient Rome to the Chinese kitchen, from the animated house to the metaphor of the armchair in film noir. Eleanor Andrews is Senior Lecturer in Italian and Course Leader for Film Studies at the University of Wolverhampton, UK. Stella Hockenhull is Reader in Film and Television Studies at the University of Wolverhampton, UK. Fran Pheasant-Kelly is MA Course Leader and Reader in Film and Television Studies at the University of Wolverhampton, UK.